Are your binoculars a pain in the neck? We have the solution, the Slide and Flex Bino System. 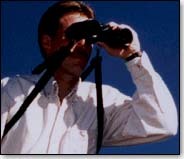 Elastic straps allow the binoculars to slide up and and flex out when in use. 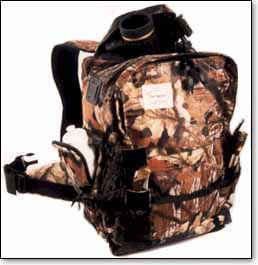 Keeps binoculars secure yet readily available for the sportsman who needs to stay mobile. Works for all sizes of binoculars, cameras or range finders and is fully adjustable. Ideal for the bowhunter - elliminates bow string interference. Constructed from SADDLE-CLOTH material, laminated to weather-proof nylon packcloth. 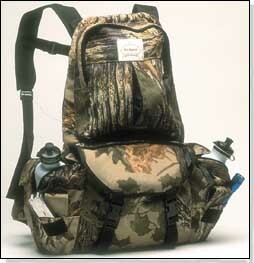 This combination makes for a pack that is waterproof, durable, burr-free and quiet! 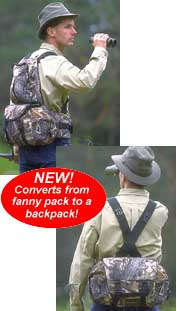 Hunters can convert this fanny pack to a backpack simply with a few quick-release buckles could dream of built-in.